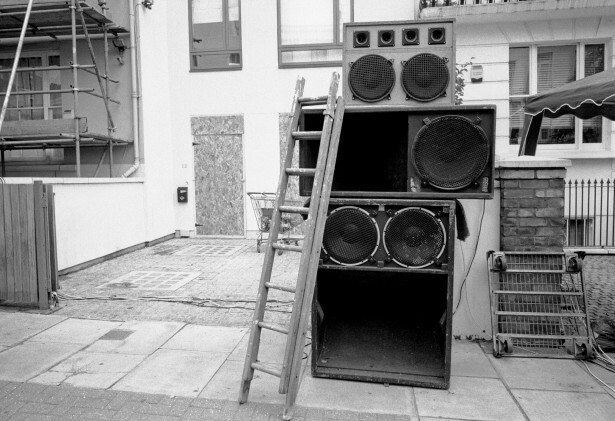 In the summer of 2004 photographer Brian David Stevens rose early to capture the towering speaker rigs and sound systems of the Notting Hill Carnival before the crowds arrived. 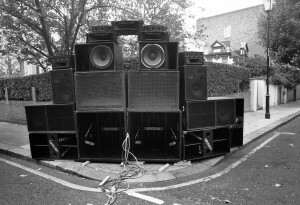 The Notting Hill Carnival got its start in 1964, as an expression of the Caribbean carnival tradition of the 19th century. Originally used as the showcase for a local steel drum band, the carnival has grown to include a wide range of Afro-Caribbean music and its related genres, representing various musical traditions and styles from the ’60s up to today.